LR Contracting Inc, your local contractor is committed to creating the perfect pole building for you in the Hancock Michigan area. LR Contracting Inc. is an excellent choice when choosing a contractor for your pole building needs. 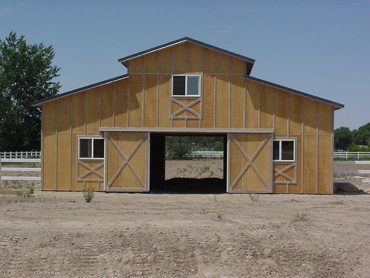 Whether you need more space for a garage, office, storage, or a livestock building, all of are buildings can be custom built, we are not building from a kit so buildings can be arranged to fit your individual needs. 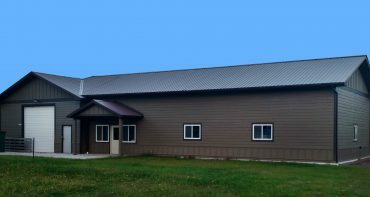 We install the buildings that we sell, and they are designed to handle the harsh Copper Country winter snow loads. In addition to offering a variety of building options (stalls, tac rooms, hay storage, wood dutch doors), you may select from a wide-range of colors (earth tones, reds, blues, greens, grays, white). We also offer concrete slab floors, and gravel roads and parking areas. Spaces can be finished and heated, divided up (office space inside) or left open for storage. Call us today for a free consultation on constructing your pole building: 906-482-6114 We will be glad to discuss how we can make your project come to life.